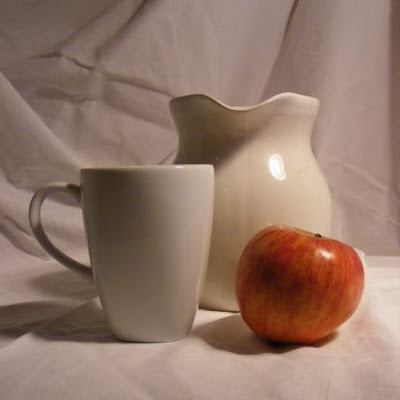 "Beat the Heat" still life from life at Council for the Arts. "Community Art Day" still life gathering August 26, 2017 from 10:00am-2:00pm. This will be our second installment for the gathering. Please come join us for another great session! Bring your art supplies and easels. All mediums and skill levels are welcome! Local plein air competition in conjunction with a special event being held at the new Riverwalk Marina at Kerr Street. Details coming as soon as we get them. Artist find places to paint on Emerald Isle or surrounding area on Saturday. Some home owners who want their view painted will be given to artist with maps and name tags Friday night at registration social at Irene Baileys Studio. You will also have your canvases stamped for the peoples choice cash award on Sunday at the Art Show and Sale. The paintings must be hang-able. All artists whether you paint Plein Air or not, are invited to exhibit and sell there work at the Art Show on Sunday. You just need to notify Irene and register Friday night at Social. All artists will be responsible for their display equipment such as easels, table, chairs and tent or umbrellas. OOPS July Paint Out set for Saturday the 29th! Click HERE to see Event page and let us know if you are planning to attend. Special thanks to CJ Baumann III and Cathryn Akerman for helping me organize and work the event. If anyone else who doesn't care to paint in the competition but would like to help me on Saturday simply show up at the event and look for our tent in mid street. Bring your gear to paint in the streets if you'd like. 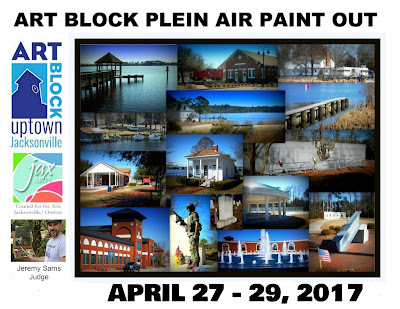 April 27, 28, and 29th, competing artists will paint, out in the open, at local public and private sites in beautiful Historic Jacksonville, North Carolina. The painting boundary encompasses many picturesque scenes including, but not limited to, the Pelletier House along the banks of the New River, the USO, the old Jacksonville Train Depot, the City Hall Tower, the Freedom Fountain, beautiful Wilson Bay, plus the numerous memorials in the Lejeune Memorial Gardens. The Art Block Plein Air Paint Out is sponsored by the Council for the Arts and will feature a judged competition with prizes, a wet-paint sale during the Art Block street festival, and a month long exhibit/sales in the Council Gallery. Rules: Artists may submit up to THREE pieces for judging. All works must be done en plein air (outside), during the event times (nocturnal compositions accepted), within the painting boundaries as confirmed by the map, and without assistance of photographs. All canvasses/substrates must be officially stamped at registration. Eligible submissions must be turned in by 1:00pm on Saturday. All media are accepted, except for photography. Canvas Restrictions: Canvases/Substrates may be no larger than 36 inches in any direction. Artists may submit up to 3 completed works for judging. All substrates must be officially stamped at registration to be considered eligible for judging and the wet-paint sale. Sales: Completed works may be listed for sale, at the artists’ request, in the wet-paint sale and during the gallery exhibit period. The wet-paint sale will begin immediately after the judging, on Saturday afternoon, April 29th during Art Block. Sales generated during the wet-paint sale will be the sole responsibility of the artists, for which 100% commission will be retained by the artists. Works will be displayed, upon request, at the main Gallery in the Council, from April 29th through June 16th (unless sold). Council for the Arts will retain a 25% commission for CFTA members and 35% for non-members. Artists must price their own pieces, as the Council is unable to price pieces for artists. Judging and Critique: We are excited to have Jeremy Sams as this year's Awards Judge for our event. Jeremy is an accomplished plein air painter and is well know artist throughout our state. Jeremy's paintings are collected throughout the world and he has amassed many accolades and awards for his work . Jeremy promotes and is an advocate for plein air painting. 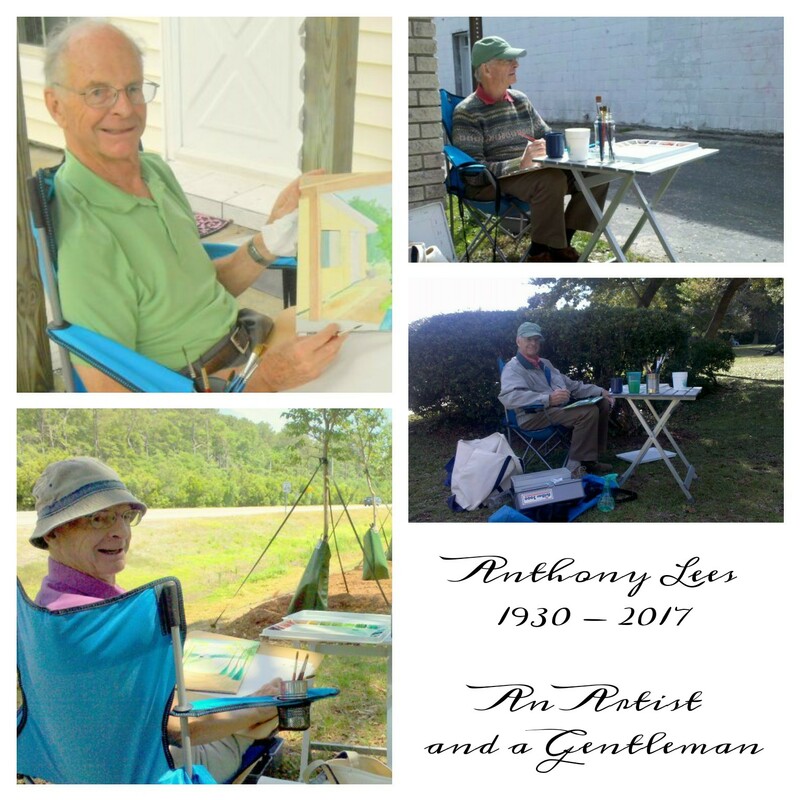 He even travels abroad as a missionary where he incorporates plein air painting as part of his mission work. 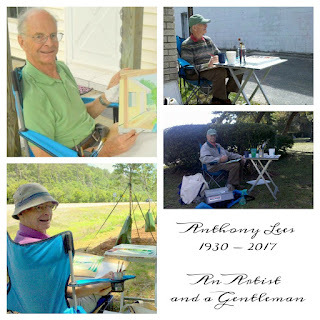 Jeremy is currently a member of the North Carolina Plein Air Painters, Triad Outdoor Painters, Charlotte Plein Air Painters and Plein Air Carolina. He is also the founder of the Fellowship of Plein Air Painters. Jeremy is featured in this month's Plein Air Magazine. Calling all painters! Sunday February 19th from noon till 4pm at the council for the arts (Jacksonville) we will be having our yearly model session! Bring your paints and easels and get ready for four hours of painting from life!! The model is yet to be determined. I will attempt to work with the local homeless shelter to see if they have someone who could use the donations. For those who do not know, donations are accepted to pay the model for sitting and defray some of the cost of the room rental. If you are tight on cash don't worry about it you are still very welcomed and wanted! Please share this on your timeline so we can get max participation!! All skill levels are welcome! The more the merrier!! OOPS MAX EFFORT Event... 3rd Annual Art Block Plein Air Paint Out... Register Now!